ShopUp is a fast growing start-up which is revolutionizing the F-commerce industry of Bangladesh, through providing access to finance along with a large range of services, exclusively, to the F-commerce stores. Their platform is driven by the use of data science for credit evaluation and is growing to become a forerunner in using analytics for micro-financing. 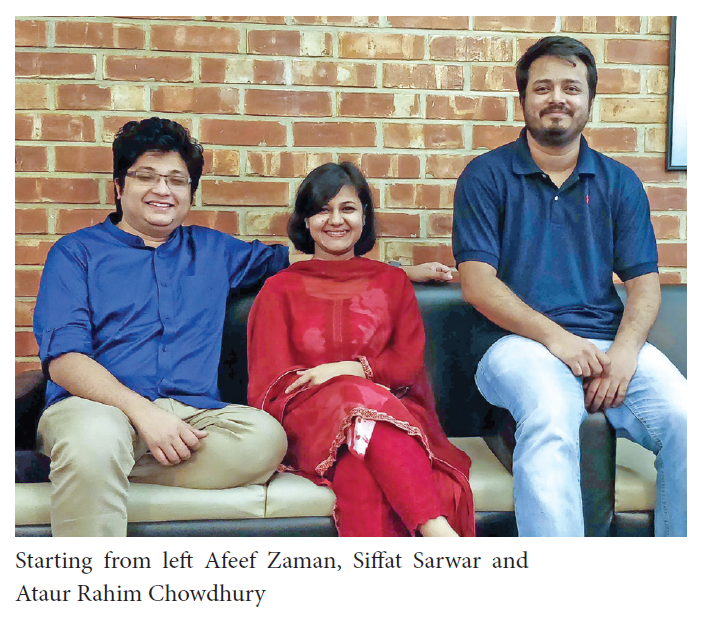 Right after completing graduation from Institute of Business Administration (IBA, University of Dhaka), Mr. Afeef Zaman and Ms. Siffat Sarwar, along with Mr. Ataur Rahim Chowdhury - a software engineer, the founders of ShopUp came up with a unique solution to bring the micro entrepreneurs in a structured platform. The idea of building a platform for Facebook based entrepreneurs popped up in their mind when they tried to bring online a few micro-entrepreneurs from a pottery cluster in Southern Bangladesh, which was losing it glory in teeth of mounting popularity of plastic items. The scale of f-commerce is more significant in Bangladesh than any other e-commerce platform due to convenience and popularity of Facebook among Bangladeshi people. One of the problems that the founders encountered while working with the merchants based on Facebook is lack of accessibility to finance. Facebook merchants usually do not have any track record of their transactions as these transactions are entirely messenger-based and cash-based. On the other hand, the risk appetite and operational structure of the Financial Institutions (FI) do not allow them to finance the F-commerce businesses, where the ticket size ranges from BDT 25,000- BDT 300,000. Due to having high operational cost, such small ticket-sized loans are not cost-effective for the FIs. ShopUp took advantage of this phenomenon and gained popularity among F-commerce startups by providing them the access to finance among other solutions. Entrepreneurs can apply through the mobile app of ShopUp mentioning the amount of credit they need. ShopUp determines the loan amount by using algorithm based credit scoring model, where they count on 2000 data features to assess a particular online business. After that, entrepreneurs need to sign a physical agreement and then the cash gets disbursed to their mobile wallet or to their bank accounts (in most cases). The loan processing time varies from 3 days- 7 days Currently, ShopUp is tagged with BRAC MFI as their partner FI. They get the final loan offer derived from the algorithm and conduct the final disbursement process. The repayment is done through either bKash or the amount is deducted at source. The collection is conducted by ShopUp since the borrowers are accessible to them as they enjoy other facilities provided by ShopUp. The Chief Data Scientist of ShopUp, who is a PhD candidate of Massachusetts Institute of Technology (MIT) leads the data science team which is based in Bangladesh. ShopUp also has a credit consultant to help them look into the signals from different directions and predict the behavioral traits of the entrepreneurs; e.g. forecasting a merchant’s spending behavior through the number of time he/she prefers to boost their Facebook post. ShopUp also uses psychometric data to predict a customer’s repayment intent and repayment capacity. F-commerces’ basket size is much larger than that of e-commerce ventures. Words of mouth determines the fate of F-commerce business, for which chances of forgery narrows down. ShopUp is not only the financial partner of the F-commerce businesses, but also serve as a growth partner by providing them a complete business solution. The range of services encompasses inventory management, logistics services and so on. In this way, the borrowers stay on the same platform and it curbs down their probability of default. One of ShopUp’s client, Rapunzel’s Secret, which is a popular F-commerce business selling haircare products, started with this platform and grew exponentially with the help of ShopUp’s services. Currently, it has 45000 merchants under its belt. Facebook based micro entrepreneurs are expanding rapidly and qualifying to small business segment from micro business segment. ShopUp is trying to shift their payment mechanism from ‘cash on delivery’ to ‘digital payment’. When a business grows, the increasing number of cash transaction becomes burdensome for each party involved, hence digitization of the payment method is the only answer to handle the heavy volume of transactions. Since ‘trust’ plays a big role in F-commerce businesses, shifting the payment mechanism would be a challenge for ShopUp. ShopUp raised USD 1.62 M seed round led by by Omidyar Network, the impact investment firm established by Pierre Omidyar, the founder of eBay. Other funders in this round include angel investors from Facebook, Google, Amazon, Grab, and leading global banks. 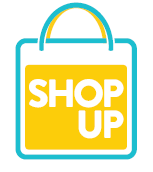 ShopUp helps individuals build and grow their online business, gain access to credit, increase earnings, and become financially healthy and secure. ShopUp plans to bring offline merchants to its platform soon. ShopUp plans to acquire 100,000 merchants by Q2, 2019. It also wants to expand its horizon from f-commerce to other segments as part of its expansion plan. 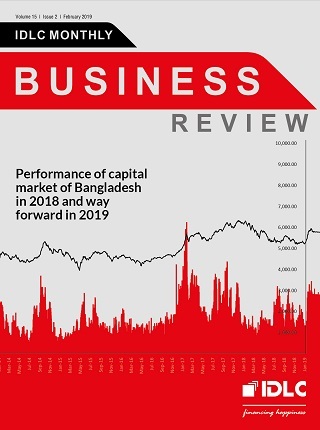 The credit culture of Bangladesh credit market is yet to shift towards algorithm driven models from the traditional ones. FIs need to incorporate a new lens of lending which will be totally data driven. Information asymmetry is there; however, data-driven pipelines helps to evaluate a loan applicant more efficiently. Scopes are aplenty for the new players and emerge to maintain a healthy competition.